Early this school year, it was announced that the Junior Class would be putting some of their fundraising money towards a class trip. Each of the students spent time working concessions at NC’s home games. After much time and hard work, the class was ready for the trip. On Thursday, March 12th, they set off for Minnesota. The journey took a total of nine hours. Around 10 p.m., the bus arrived at the hotel in Shakopee, where the group stayed each night of the trip. On Friday morning, the students visited Northwestern University and the University of Minnesota. 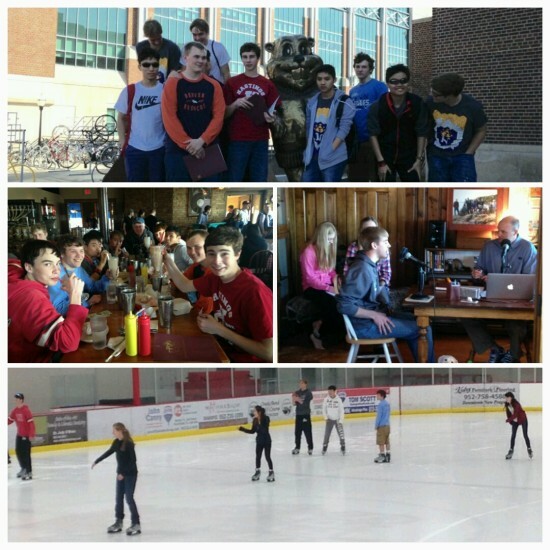 After going on campus tours and learning about the different ways of college life, the class stopped for supper and then enjoyed an evening of ice skating. 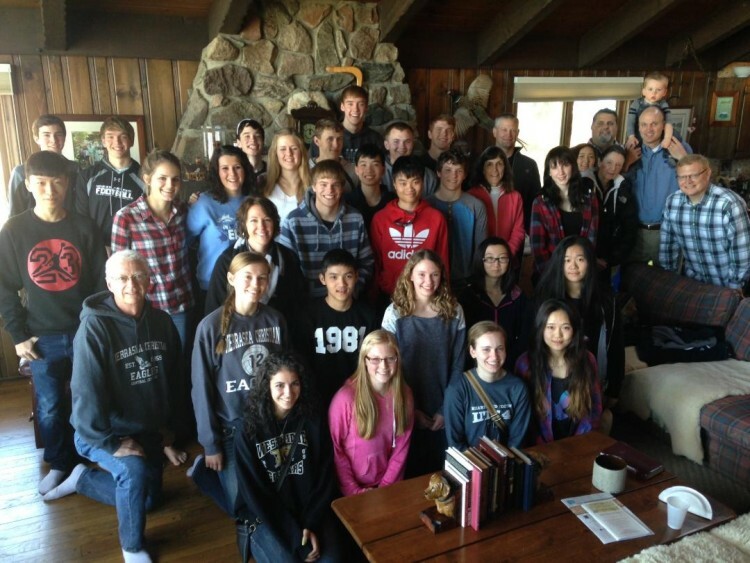 The next morning, the students visited David Wheaton’s home. There the students participated in a radio show, ate a delicious brunch, and spent time in praise and worship. (Listen to the podcast of the radio show here.) After that, they visited an art museum, followed by what was for some the most anticipated feature of the entire trip: The Mall of America! The students had several hours to explore and shop in this massive mall. On Sunday morning, the class went to Grace Church and then began the journey home. After another nine long hours, the students arrived back at the school and went home from there, exhausted and ready for sleep. The Junior Trip was not only an adventure for many, but it was also a great opportunity for the class to grow closer and for friendships to be strengthened. 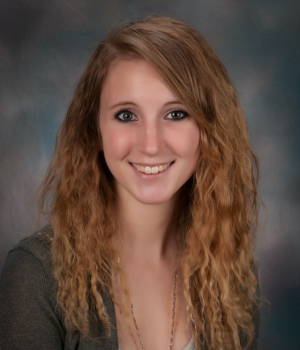 Madi Fuehrer is a member of the class of 2016. She lives outside of Marquette, Nebraska.